*I got this book from LibraryThing Early Reviewers. I love the premise and I was so excited to receive this book. *I'm probably the last person on the planet to read this book. Goodreads says, "Twenty-two-year-old Skeeter has just returned home after graduating from Ole Miss. She may have a degree, but it is 1962, Mississippi, and her mother will not be happy till Skeeter has a ring on her finger. Skeeter would normally find solace with her beloved maid Constantine, the woman who raised her, but Constantine has disappeared and no one will tell Skeeter where she has gone. Aibileen is a black maid, a wise, regal woman raising her seventeenth white child. Something has shifted inside her after the loss of her own son, who died while his bosses looked the other way. She is devoted to the little girl she looks after, though she knows both their hearts may be broken. Minny, Aibileen's best friend, is short, fat, and perhaps the sassiest woman in Mississippi. She can cook like nobody's business, but she can't mind her tongue, so she's lost yet another job. Minny finally finds a position working for someone too new to town to know her reputation. But her new boss has secrets of her own. Seemingly as different from one another as can be, these women will nonetheless come together for a clandestine project that will put them all at risk. And why? Because they are suffocating within the lines that define their town and their times. And sometimes lines are made to be crossed." *I love books that include elements of romance, suspense and historical fiction. Goodreads says, "In her seventeenth year, Princess Alera of Hytanica faces one duty: to marry the man who will be king. But her father's choice of suitor fills her with despair. When the palace guard captures and intruder—a boy her age with steel-blue eyes, hailing from her kingdom's greatest enemy—Alera is alarmed…and intrigued. But she could not have guessed that their clandestine meetings would unveil the dark legacy shadowing both their lands. In this mystical world of court conspiracies and blood magic, loyalties will be tested. Courage won't be enough. And as the battle begins for everything Alera holds dear, love may be the downfall of a kingdom." 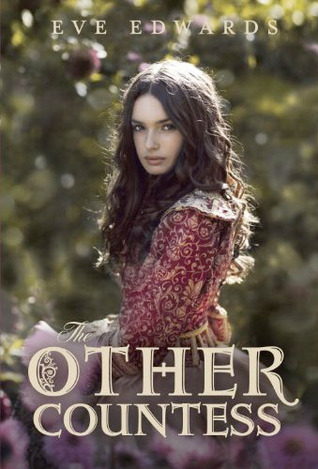 *I noticed a few of my students reading this one and since I love historical fiction, I'd thought I'd get a copy. 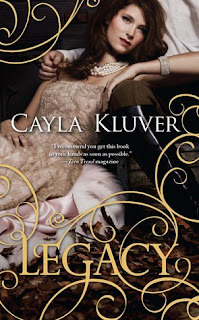 Goodreads says, "Ellie—Lady Eleanor Rodriguez, Countess of San Jaime—possesses a worthless title, but her feisty spirit captivates the elite of the Queen's court—especially the dashing new Earl of Dorset. William Lacey, Earl of Dorset, has inherited his father's title—and his financial ruin. Now Will must seek a wealthy bride and restore his family's fortune. If only he hadn't fallen for the beautiful but penniless Ellie . . . Sparks fly whenever Ellie and Will are together, but circumstances—and the conniving interference of others—threaten to keep them apart." 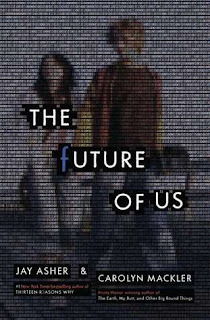 I want to read The Future of Us so bad! Can't wait to read The Future of Us! A really great mailbox this week. 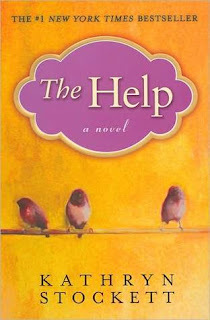 And your not the last person on earth that hasn't read The Help. I probably won't have time to read it before I'm going to watch the movie. ;) Happy Reading! Fantastic mailbox! I can't wait to read The Future of Us. I loved The Help and the movie was pretty good too. The Other Countess was pretty good. I have the sequel to read from NetGalley. I hope you enjoy all of these, especially The Help. I really want to read The Future of Us, every time I see it I get more excited about it! Can't wait to know what you think Christina! You're in for a real treat with The Help. Enjoy your new books! Enjoy reading!! Come check out my IMM!! The Other Countess looks good. Enjoy! What a great selection! I can't wait to read The Future of Us. Enjoy your new books! Thanks for visiting my mailbox, everyone! Have a great week! You won the Future of Us? I'm so green. I can't wait for your review. I'm in the middle of The Future of Us right now and really enjoying it! All the '90s references are super fun. Hope love The Help, too -- one of my favorite reads from last year! And the movie was awesome.